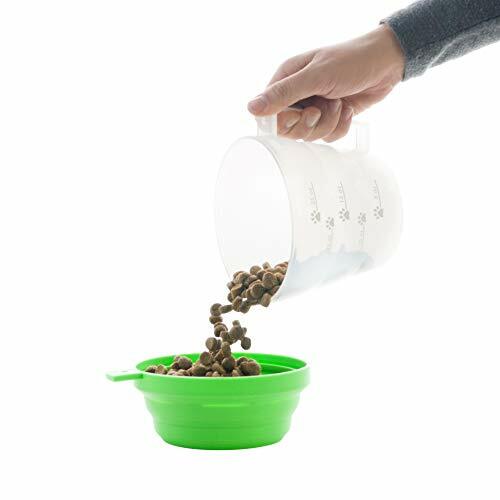 FOR DOGS & CATS: This collapsible food and water bowl set is designed for dogs but can be used by cats as well. 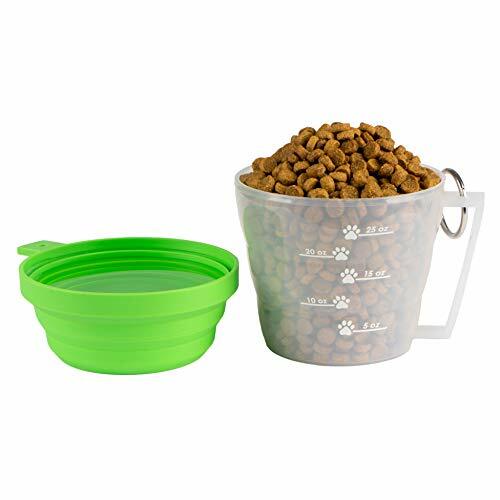 With this snazzy bowl and measuring cup set, your furry friends will be well fed and fully hydrated on the go. 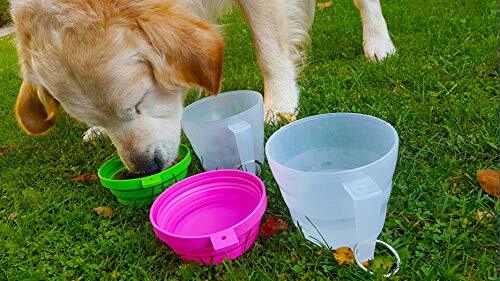 Regardless of breed, gender, or age, these bowls have a universal size to make use easy for your puppy pals and feline friends, both large and small. DISHWASHER SAFE: This reusable plastic bowl is durable and dishwasher safe, making maintenance and care a breeze. Simply pop the silicone bowl and plastic measuring cup in your dishwasher after use, and you’ll be ready to take it on the road again. 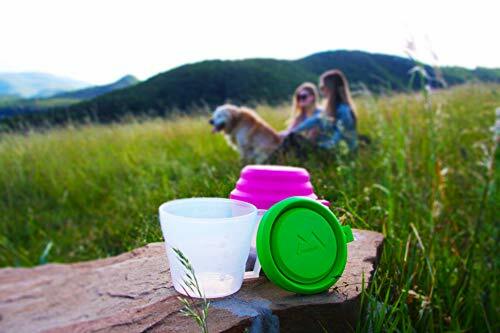 Whether you’re touring the world in your camper or RV or out for an afternoon hike with your doggo, this multifunctional bowl combo is a must-have. MADE WITH ECO-FRIENDLY MATERIALS: This bowl is made with BPA-free plastics to keep your pet’s health in the pink. With waste from plastic bottles and other trash polluting our ecosystem, you can have confidence in these green, eco-friendly materials and feel good about your contribution to the health of the planet. 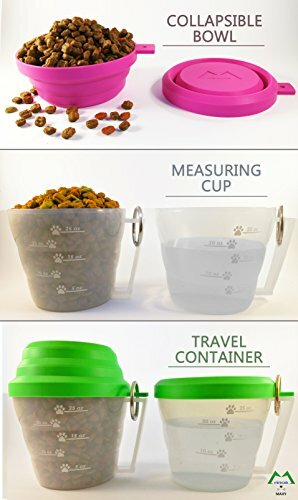 GREAT GIFT FOR DOG OWNERS: For the dog owners and pet lovers in your life, this collapsible dish and measuring cup set makes a great gift for Christmas, birthdays, or just because. 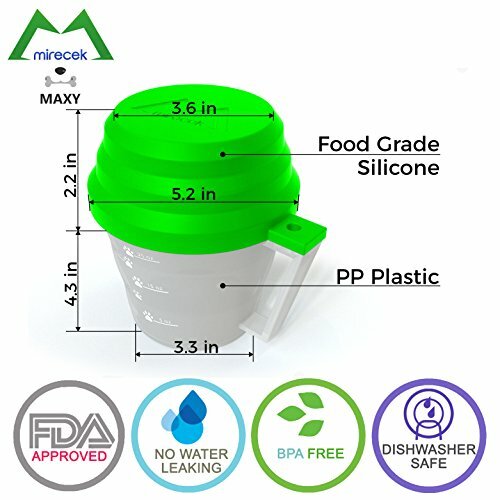 This convenient cup is not only equipped with a collapsible lid but also has lines to indicate ½ cup and 1 cup marks. 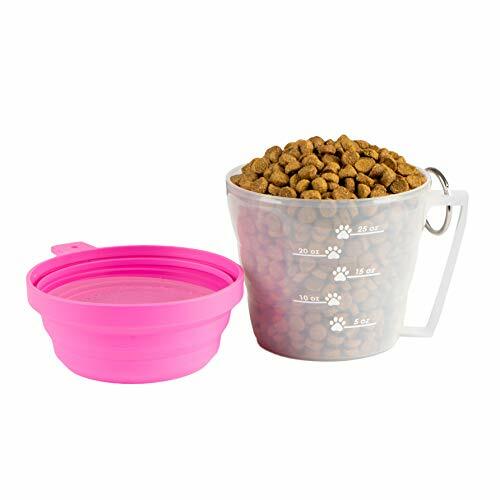 The entire cup can hold 2 cups of dry food and 33.8 fl. oz. sometimes be a challenge. 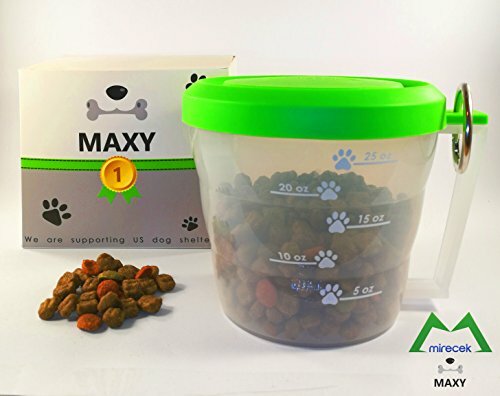 However, with the MAXY Dog Food Travel Container by Mirecek, solving this problem is a snap.